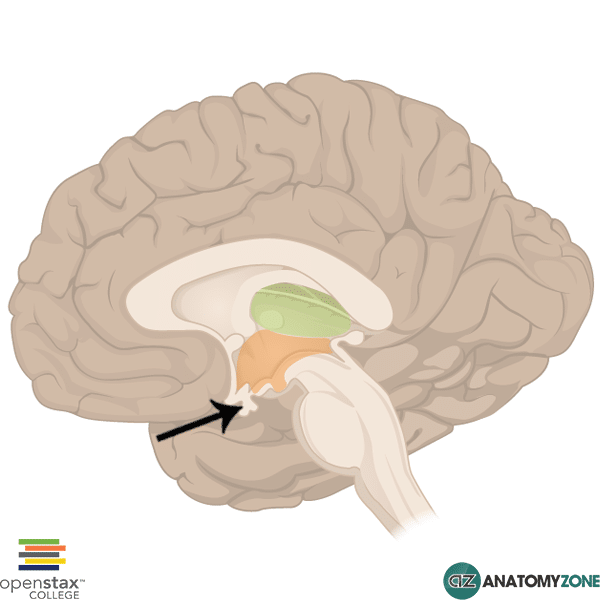 The structure indicated is the pituitary gland. The anterior pituitary originates from oral ectoderm, whereas the posterior pituitary originates from neuroectoderm; the anterior pituitary is glandular, whereas the posterior pituitary consists of neural tissue. The release of hormones from the anterior pituitary is regulated by releasing hormones from the hypothalamus via the hypothalamo-hypophyseal portal system.